I really like making mug rugs! 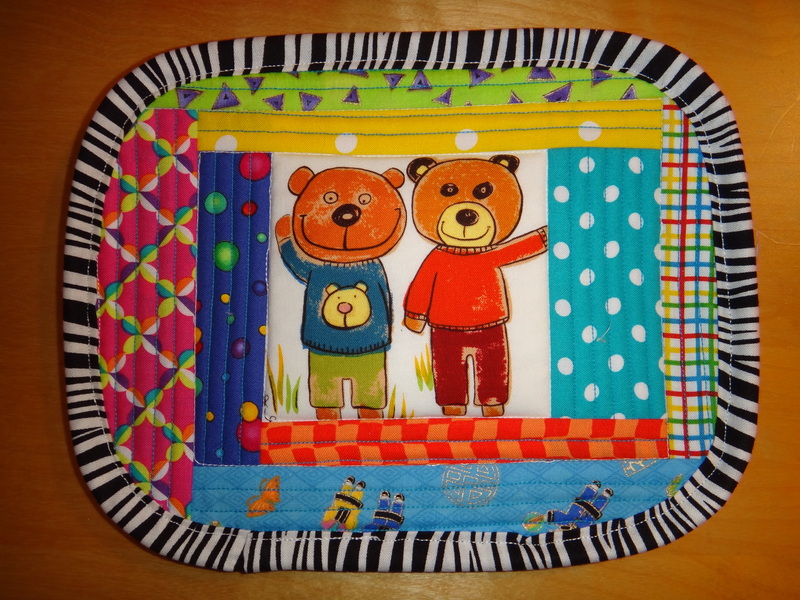 They’re such a great way to showcase some of my favorite fabrics and use my scraps. Plus it is nice to have something cheerful to set one’s cup of tea on. 🙂 Here are a few of my most recent rugs. These belong to various members of my family now. I love the bright colors you choose! They are so fun and go so well together. Thank you! I get such a kick out of making the mug rugs – they make me smile. Have a great day! Love all those adorable fussy cut centers! What cheerful and fun looking projects! Thank you Lorna! I think the centers are my favorite part – they’re fun to showcase and build around. 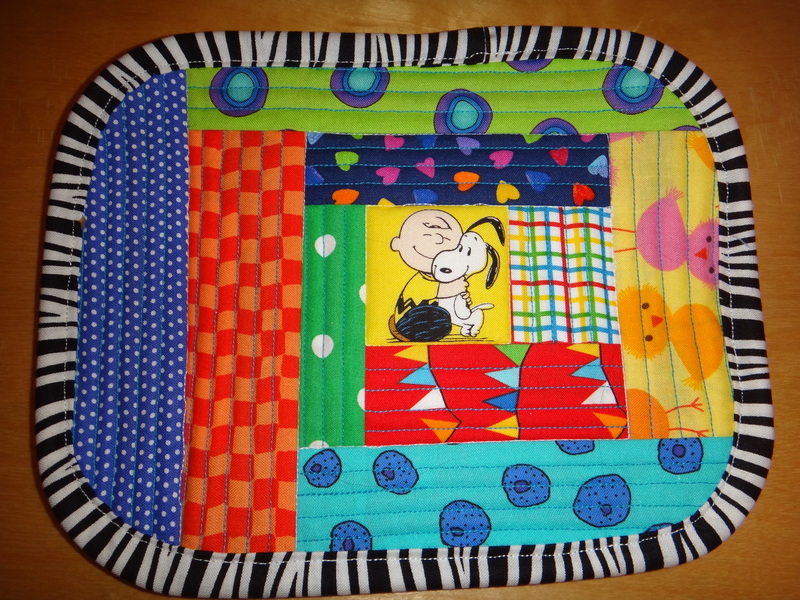 I use my mug rug every morning with a cup of hot coffee – a cheerful; way to start the day! 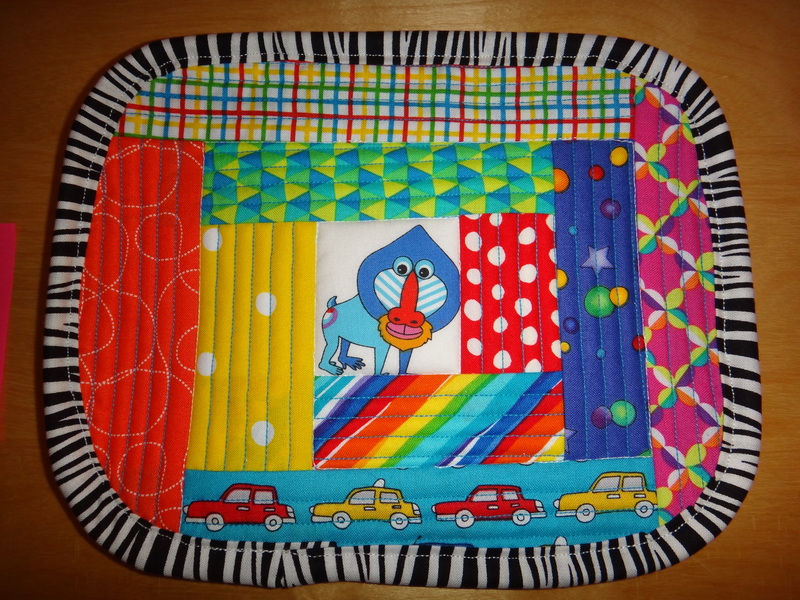 One is never too old to have a fun, colorful mug rug. Thanks for inspiring me today. Do I see Bullwinkle in your mug rug!? Where on earth did you get rocky and bullwinkle fabric? So cute. Thanks Margaret! 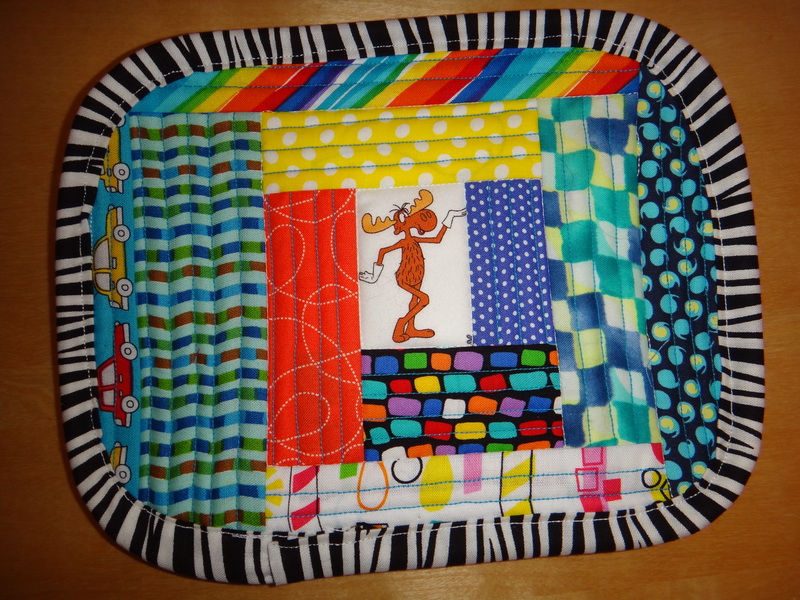 I just love the Rocky and Bullwinkle fabric. I am trying to remember where I bought it…maybe Fabric.com or equilter.com I’m not totally sure. I hope you can find it though – it’s super cute. Great fun. A lovely way to brighten up the day! Thanks Karen 🙂 I get such a kick out of making these! I love your mug rugs. They are so adorable! I do believe I am going to have to start making some — yes, that might be what everyone gets for Christmas this year. I love it! My family and friends all got mug rugs, tea and mugs this year! Lots of fun to put together.